To ‘believe’ is also to say ‘I don’t know’. A belief is not necessarily a truth. So how are we to realize and know our own truth? How do you know that you know? What is the difference between belief and truth? In this series of Being Beyond Belief, we will examine how certain beliefs get in the way of the truth. When all is s aid and done, and you have reached that place beyond ‘belief’, one question remains. So WHO are YOU…really? Can you change your beliefs? So who does the changing? Am I my beliefs? So, there is you and there are your beliefs. Am I my story? It is just a story made up of your beliefs or someone else, out of thousand beliefs and adopted by you and you and I and we are not ‘beliefs’. Come and discover for yourself. 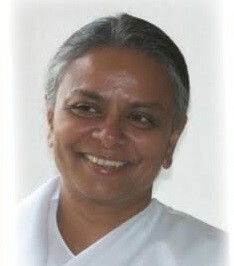 Special Guest Facilitator: Manda Patel has been studying and teaching Raja Yoga meditation for over 30 years. As well as playing a central role in Brahma Kumaris activities within the UK, Manda has for 20 years been the Director of the Global Retreat Centre in Oxford.